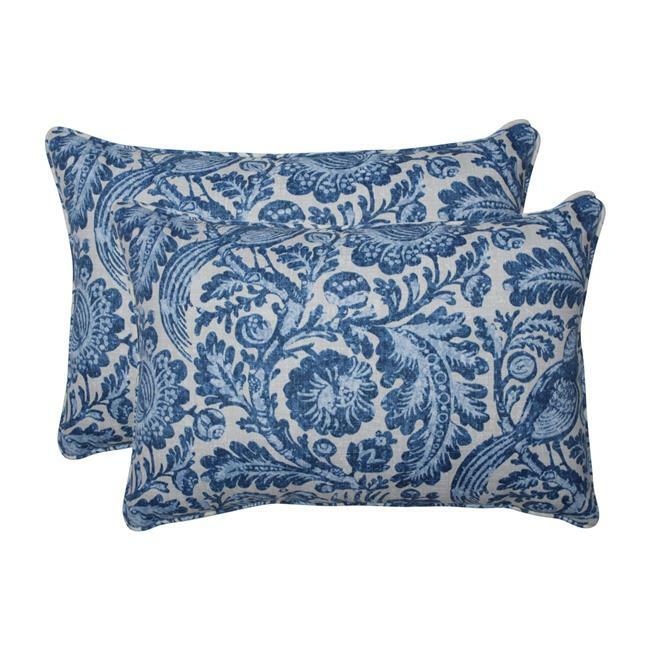 The outdoor Tucker Resist pattern on our outdoor oversized lumbar pillows was inspired by the St. George Tucker House, which is one of the most admired residences in Williamsburg, Va. Resembling a resist printing technique these outdoor decorative pillows have a distressed feel to them including various shades of blue ranging from rich indigo to pale sky blue. Combine these outdoor oversized lumbar pillows with one of our outdoor throw pillow sets like outdoor Rave Driftwood for a fabulous curated look! This beautiful and historical pattern will instantly brighten and update your outdoor patio decor. Additional features of these outdoor oversized lumbar pillows include a self welt for beautiful finishing and recycled polyester fiber fill with a sewn seam closure. Also suitable for indoor use.